Another fascinating animation from the Royal Society for the Arts [definitely worth watching in Full Screen - click on the button at the botom right of the video]. This time it illustrates an RSA talk by Evgeny Morozov, a Belarus-born journalist who is critical of overstating the impact of the internet and other technologies in bringing about social or political change. He argues that at times, the internet can instead aid dictatorships and the spread of right-wing or nationalist ideas. I can't say I entirely agree but it's an interesting argument, one that also has some validity when considering the activities of the 'hasbarats' in disseminating pro-Israel propaganda. My apologies for the length of this post. I'm not in the habit of fisking articles in the Guardian but I got carried away. A Guardian article by Newham's Labour councillor for East Ham Central, Unmesh Desai (right), in which he defends the Prevent prgramme that supposedly aims to tackle 'radicalisation' amongst young Muslims, has attracted much attention locally. 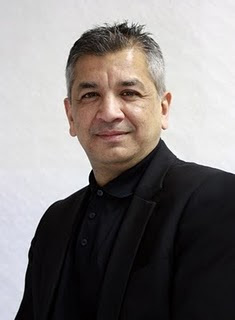 The Newham Recorder this week says that Desai has “got tough on Islamic extremism” for his position that 'non-violent' and 'violent' extremism “are different sides of the same coin, and both have to be fought together”. Twenty years ago, before becoming a councillor, Desai was an admired anti-racist campaigner, someone I personally respected as an activist who argued passionately that the state is neither benign or restrained: given the opportunity, state authorities would always seek to extend their powers in potentially repressive and intrusive ways. So it is saddening to see the political trajectory towards mainstream conformism he has followed over the intervening years. Nevertheless, lumping together as extremists all those from Muslim communities who fail to adhere to unspecified “common values around a common agenda,” directed towards something as confused and ill-defined as "Britishness," represents a new low. After her arrest police seized and scoured her computers for contacts with jihadists, of which none were found, and for details of websites she had visited. She had no known connection to any Islamist groups, and there was no evidence she had attended meetings or owned any potentially extremist literature. Chowdhury's actions were clearly the isolated actions of a deluded loner who spent too much time online – she was not shaped and moulded by the “non-violent extremists” Desai wants to package together with bomb plotters as one demonic enemy. I therefore have question the appropriateness – and indeed the morality – of generalising the actions of one disturbed individual with mental health problems and using it to justify a policy that targets an entire faith group. To his credit Stephen Timms, who strikes me as a fundamentally decent man who made some terrible decisions over the Iraq war, has been far more circumspect in avoiding the search for political capital from his traumatic and deplorable assault. Desai goes on to ask whether, “if one does not counter the basis of extremist ideology, isn't it then too late to stop it being translated into terrorist action?” The answer to this is quite obviously 'not necessarily'. As he hints at in his attack on the Federation of Student Islamic Societies – again tarring them all for the actions of another loner, the alleged transatlantic bomber, Umar Abdulmutallab – the adoption of rigid, doctrinaire and fringe views is often more likely to be found amongst the young, whether it involves unrealistic demands for a 'general strike now' or the equally unlikely call for the creation of a caliphate. But youthful rebellion does not necessarily result in ever greater radicalism – on the left, sadly, it's more often a phase that people grow out of, a path that leads to ever greater conformity and reaction in middle age. Witness all the young revolutionaries in far-Left groups who moved rapidly to the right: former Socialist Workers Party (SWP) members like the journalists Julie Birchill, Christopher Hitchens, his brother Peter and associate Spectator editor Rod Liddle, or the Tower Hamlets MP Jim Fitzpatrick... or indeed, a youthful Unmesh Desai, who as a young militant was expelled from the SWP in the early 1980s for advocating violent confrontation with the far-right, what the comrades called “squadism”. What might it tell us about a person if even a Trotskyist organisation kicks you out of their party for alleged 'violent extremism'? Completely nothing, of course – other than the interpretation of such terms are dependent on the political bias, value judgements and ulterior motives of the people who make them. What is deeply disappointing is that Desai, who once was prepared to proudly and defiantly stand alongside councillors from Sinn Fein, at a time when the British state and the mainstream press were condemning them as sympathisers for violent extremists, has apparently forgotten this. "The community shrank into itself. In Liverpool many Irish people went absent from work the day after a bombing atrocity, for fear of reprisals. Irish clubs developed as a network of havens where people could mix with their own”. In the face of constant vilification and harassment that “caused injustice, alienated law-abiding citizens and created resentment among people whose co-operation could have been invaluable for government and police,” this was an entirely understandable reaction. No doubt, however, there was a politician somewhere during the 1980s blaming the Irish for failing to integrate and perhaps even saying that “for too long we have allowed communities to go their own ways and live separate lives”. The Irish in Britain were treated as stereotypical 'untrustworthy paddies' for appearing, at least in the minds of the prejudiced, to share a view at odds with British foreign policy, although there is little doubt that support for Irish nationalism was fuelled by what Donovan calls “the feeling of collective isolation and threat” that fosters “sympathy where there may have been none”. But Desai thinks that foreign policy as a key driver of 'radicalisation' is now “lazy thinking”. He goes on to use the extraordinary example (albeit a prudently opportunist one in the context of Newham's political landscape) of 2009's British Tamil occupation of Parliament Square, citing it as a diaspora community that is “unhappy with our foreign policy and have not resorted to terror” (unlike the deeply suspicious Muslims, presumably). These are the same protesters who were battered by the police and who are likely to now find themselves on a police database as a different kind of extremist – a “domestic extremist” - that drags in a wide swathe of activists (including myself) that support attempts to change government policy “outside of the normal democratic process”. Moreover, given the prominence of flags bearing the emblem of the Liberation Tigers of Tamil Eelam, an organisation proscribed under the Terrorism Act 2000, some of those who took part in the occupation may now find themselves under an even greater level of surveillance by suspicious state agencies. But that's the problem with trying to define 'extremism' – whatever Councillor Desai thinks it means, the state is neither benign or restrained in who it chooses to include, which is why lumping together 'violent and 'non-violent' extremists is so fraught with risk. I know he is familiar with the work of the Institute of Race Relations, so perhaps Desai should read its 2009 report 'Spooked', which concludes that the failed Prevent programme he so vigorously defends has treated the whole Muslim population as a 'suspect community' and and “is counter-productive in reducing the risk of political violence”. The report's author Arun Kundnani was unable to document any practical Prevent work that was not directed in some way at Muslim communities or, for instance, “find any examples of work that focuses substantially on far-Right extremism”. The bread and butter community events that Desai celebrates in his Guardian article either have little relevance to actually tackling 'radicalisation' or, if they do, are treated with distrust and suspicion precisely because of their specific links to a Muslim-focused counter-terrorism agenda. As I've written before, Newham council officers responsible for Prevent have denied this but refused to give a single example of activities that do not target Muslims. This is in spite of the fact that the most immediate and prominent threat from 'extremists' probably now comes from the far-Right English Defence League. An EDL march two weekends ago and not far away in Goodmayes led to attacks on Asians that left three injured and one hospitalised. Must we really wait for the EDL to turn up in Newham before Councillor Desai lays off the grandstanding about Islamic extremism and gets his priorities right? It's been a busy weekend: up to Warwickshire to help run a stall for the Buwan Kothi International Trust at the Leamington Peace Festival, which as always was great fun and full of decidedly strange people. Then rushing back yesterday to see the comedian Stewart Lee talk to Michael Rosen about his book How I Escaped My Certain Fate, at a packed Stratford Circus. I'll be glad to get back to work for a rest - here are a few photos from the festival (more here). 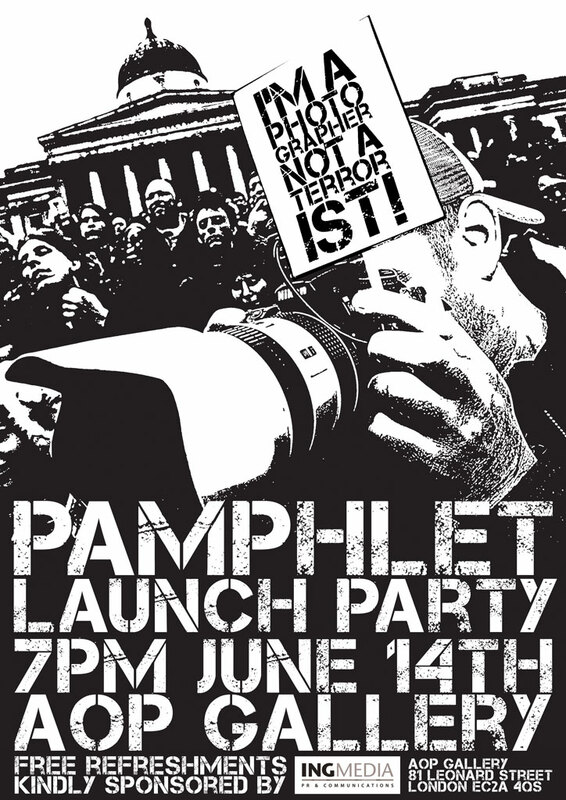 Last night I dropped by the launch of I’m a Photographer, Not a Terrorist! – A Brief History, the pamphlet written by campaigners who have been protesting again the surveillance and harassment of photographers by the Metropolitan Police. Using Facebook and Twitter, PHNAT has organised a series of brilliant flashmobs against the misuse of anti-terrorism powers by the police and the heavy-handed reactions of private security guards, including one at Canary Wharf, a mass gathering of photographers at Trafalgar Square and a victory celebration at Scotland Yard. The pamphlet records the development of the campaign. A PDF version of the pamphlet can be downloaded from here or you can get one by sending a double stamped self-addressed envelope to Photographer Not a Terrorist, 308-312 Gray’s Inn Rd, London WC1X 8DP. The overseers of the London 2012 Olympics are hinting at legal action against an events company after objecting to their use of next year's date, "2012", in the name of a forthcoming series of events celebrating British culture. The London Organising Committee of the Olympic Games (Locog) is objecting against plans to trademark the name of the forthcoming "Great Exhibition 2012", a series of nationwide initiatives culminating with a two-week festival planned for next August. Locog has given the exhibition's organisers, the Great Exhibitions Company, until 27 June to withdraw their application or potentially face legal proceedings. They particularly object to the use of "2012" in the event's name, as they consider that date is now widely used to refer to next year's Games. "I just feel generally upset, as all I am asking for is the right for people to celebrate," said the Great Exhibition Company's chief executive Julie Benson. "At the moment the country next year is a jigsaw and the only bit that is coloured in is London. I just want to go about my business and the law just seems so draconian". Madness, right? Lets take a look at who else might fall victim to Locog's attempt to claim absolute ownership of an entire year. There's the London International Ska Festival 2012 and the British Science Festival 2012, for instance. The Big Tent Festival 2012 had better watch its step, as should the High Tide Festival 2012. It's ludicrous of course - there's no way that Games organisers can possible stop hundreds of events with no apparent links to the Olympics mentioning 2012 during... 2012. And if they do happen to mention 'Cultural Olympiad values', like the Earth Festival 2012, does this imply that it was necessary to seek prior permission from officious Locog bureaucrats? The only saving grace I can foresee is the temporary withdrawal of this particular cinematic atrocity and legal action against a load of New Age conspiracy theorists. Plans next year to rename this blog 'Random Blowe 2012' just to irritate the buggers are, I'm sure, entirely unfounded. In three months time, from 13-16 September, the arms companies that sold tear gas, crowd control armament and sniper rifles to Libya and Bahrain in 2010 are back at the ExCeL conference centre in Canning Town. Yet again, Newham sees the unwelcome return of the Defence & Security Equipment International (DSEi) Arms Fair and its guests, who included an impressive number of the world's most repressive regimes seeking to shore up their power with the latest weapons technologies. UK companies exhibiting include those who supplied armoured carriers used against protesters in Libya in 2011 and they will be joined by arms manufacturers such as Lockheed Martin from the US, Pakistan Ordnance Factories, the state-owned Israeli arms company Rafael and Heckler & Koch from Germany. Just months after its attack on Gaza in 2008-9, Israel hosted a huge pavilion at the last DSEi fair of its "battle-tested" exports, whilst countries that are at threat of war with each other - such as India and Pakistan - shopped side-by-side. In 2011, DSEi publicity boasts that the arms fair will be "even bigger" and will host the "Largest Unmanned & Robotics Demonstration area in Europe". On 13 September, the Stop the Arms Fair coalition is calling a mass day of action to make it too difficult for the arms companies to do business, by supporting a mass of diverse and creative actions against the fair. Thousands of people in Newham have been forced from their homes in war zones around the world and have settled in the borough as exiles, in part because of arms exporters who help prolong violent conflict and profit from the human tragedy it brings. But Clarion Events, the private company that owns the arms fair, says that it is supported by the government, so it must be OK. This is our opportunity to make it clear that arming repressive regimes at an event on our doorstep is NOT OK, by providing practical support to protesters and taking part in demonstrations ourselves. More details soon, but for more information see the Campaign Against the Arms Trade, Disarm DSEi and East London Against Arms Fairs websites for more information. There are plenty of reasons why the Olympics juggernaut has been able to roll ahead without comment or proper consultation, but some appear to have been far more supine than others in allowing it to plough on without thinking through the consequences. Take the City of London Corporation, for example. It has bent over backwards to support the bid by the Metropolitan Police to use part of Wanstead Flats for an operations base next year, despite concerted opposition from people living nearby. The controversial Legislative Reform Order (LRO), a parliamentary procedure to amend the Epping Forest Act that protects the Flats, is currently awaiting final discussion in the House of Lords and the House of Commons. The prospects that the LRO will be nodded through are extremely high. Currently it costs the City of London £4.4 million per year to run Epping Forest including income generated. Carefully targeted reductions in service are being made totalling £457,000 which will sadly result in reductions in funding for tree work, ride maintenance, equipment and machinery, together with less improvement work on the Forest's farmed estate. Safety will remain paramount. As a charitable trust, Epping Forest is seeking to offset the impact of proposed cuts by seeking additional grant support from key charities for the City's invaluable work on environmental education and biodiversity research. An update will follow on this application in the next edition of Forest Focus. It seems entirely fair to pose the following question: how, when the City of London Corporation is making cuts and cancelling the Epping Forest Festival, was it prudent to support a controversial scheme that would recoup only £170,000, a tiny fraction of the massive £10 billions Olympics budget? Or, despite Epping Forest being a charitable trust, are its trustees unaware of their legal duty of prudence? Increasingly, it looks as though the Forest has been sold short by people who have been blinded by the spectacle of the Olympics into handing over land held in trust for local people for what is essentially a peppercorn rent. Perhaps the time has come to ask another entirely fair question - would Epping Forest and Wanstead Flats be better managed by someone other than the City of London Corporation? The Corporation may say it is "seeking additional grant support from key charities". So why, after the Wanstead Parklands Community Project (WPCP) went to considerable effort to work with Conservators to apply for a lottery grant - even conducting a public consultation - did a small group of officials decide that they wouldn't even put the proposal through to the relevant City of London committee? WPCP has expressed "shock and frustration" at this decision. What on earth is going on? Former Children's Laureate Condemns Newham's "Act Of Cultural Vandalism"
Following on from my post on Newham council's new 'Building Resilience' strategy, it seems that a number of community groups, led by Asian elders group Ekta and campaigners from Newham Monitoring Project, have been busy building some resilience - or rather resistance - of their own. Bouncing back from the first example of the new strategy in action, namely Mayor Sir Robin Wales' decision to to remove foreign language newspapers from the borough's libraries because he feels they discourage local people from learning and speaking English, a petition has been launched (download from here). It calls not only for the reinstatement of community-language newspapers but also for more funding for English as a Second Language (ESOL) classes and for the council to "recognise and celebrate the unique diversity of the London Borough of Newham, includes recognition of the languages and cultures of its individual communities". "Removing from Newham libraries newspapers written in languages other than English is an act of cultural vandalism. It deprives people of access to news about their communities and links with their countries of origin. Communities with origins from outside the British Isles make a massive contribution to the life of the UK, its economy and culture and are entitled to express themselves in any language they like. Speaking and writing their own languages doesn't stop them from making those contributions and doesn't stop them from learning English. It is illiterate and ignorant to imagine that migrant communities can't manage to be bi-lingual just because their members speak a language other than English. All over the world, bilingualism is common and normal. In fact, it's a massive skill, enabling cultural and commercial relations to operate well both within and between countries. From an autobiographical perspective, I can testify that my own origins are founded in bi- and tri-lingualism which was thankfully supported by the local library where books and newspapers in my grandparents' tongue were stocked and heavily used. As a result of the confidence and ease of moving between languages, my parents became the first university educated people in my family. It is vital for the sake of Newham's cultural and economic vitality to continue to provide newspapers in all the appropriate languages. We all benefit from their presence in our libraries." To support the campaign contact Prity Patel-Bedia at Newham Monitoring Project.